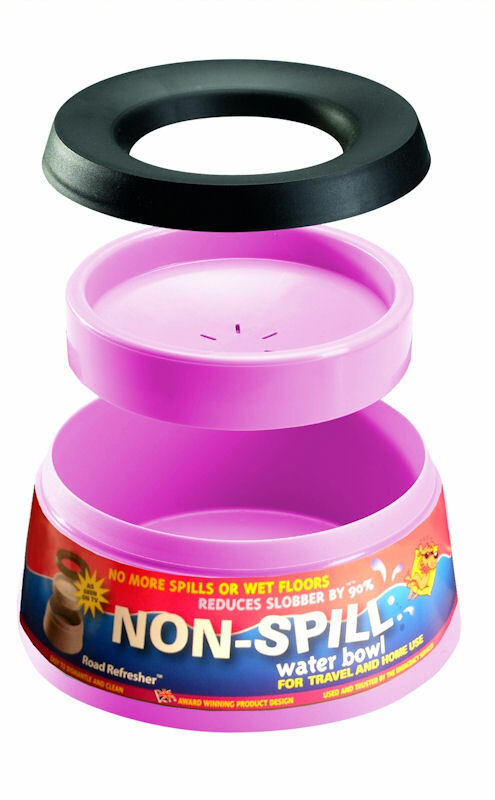 The non-spill pet travel bowl! 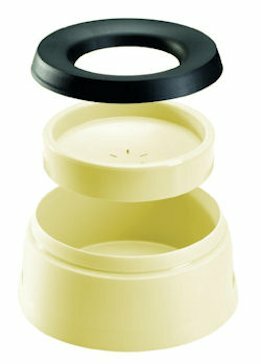 The RoadRefresher is an ingenious non-spill pet bowl that eliminates spills and reduces your pet’s slobber by up to 90%. Ideal for the home and all forms of travel. For the home – RoadRefresher stops spills from accidental kicks, this non spill pet travel bowl also keeps long ears and beards out of the water. The RoadRefresher non spill pet travel bowl encourages tidy drinking as it limits the amount of water your dog can pick up at any one time. The clever design will keep long ears and beards out of the water. The RoadRefresher reduces your pet’s slobber by 90%. 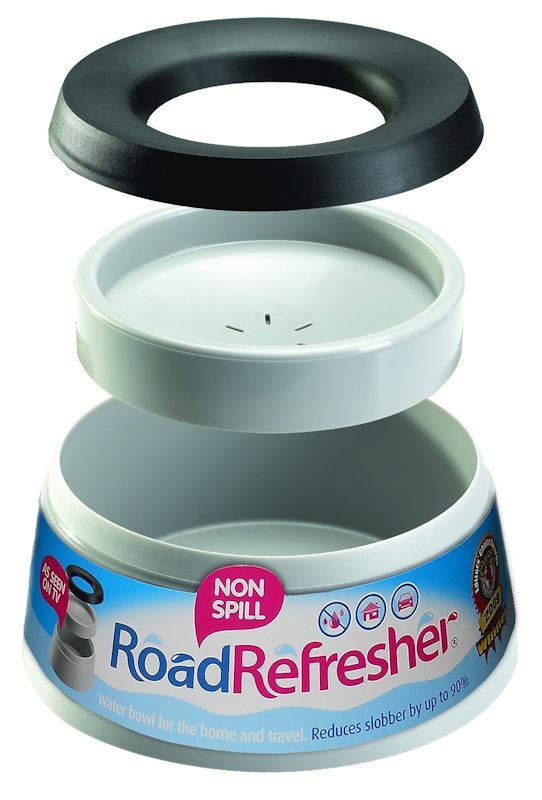 On the move – RoadRefresher non spill pet travel bowl can be filled with water and then safely left within a car so your pet has access to fresh water whenever he wants, yet none will spill. 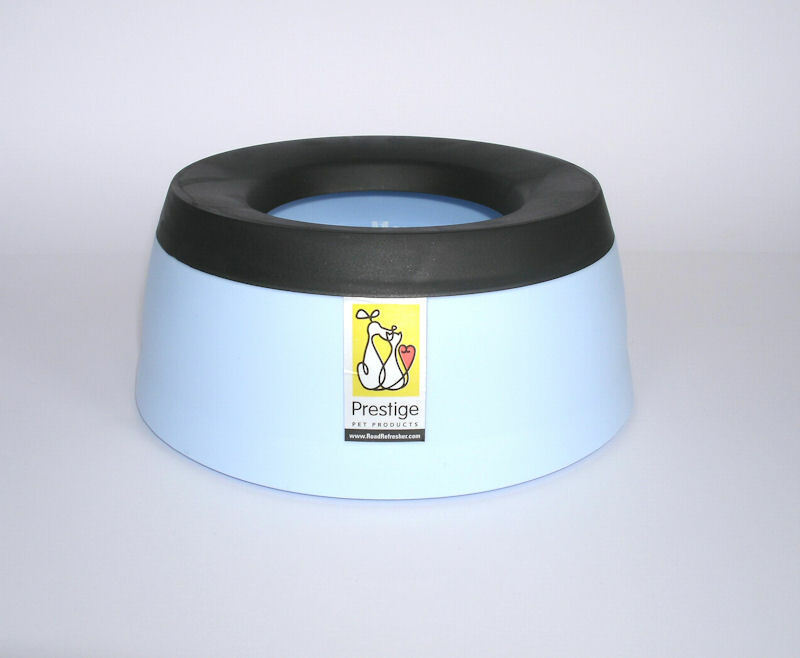 With The RoadRefresher pet travel bowl your dog can arrive healthy and refreshed wherever you go. 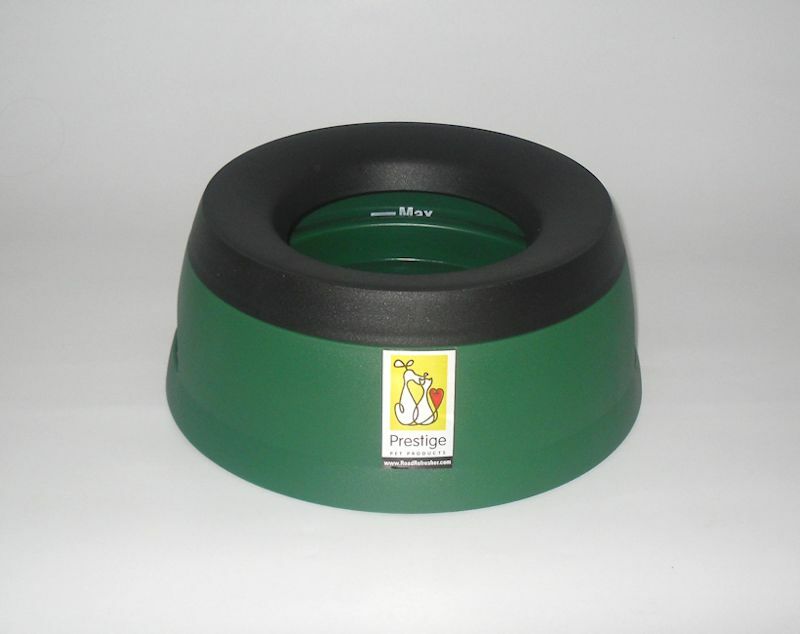 How it works – RoadRefresher has a floating plate inside which feeds enough water through for your dog to drink at all times, yet immediately restricts the flow whenever there is a surge of water from cornering, braking, kicking and so on. The RoadRefresher has a Velcro base so fixes carpets, and additional safe fixing pads for fixing the water bowl to most other surfaces. Made from heat resistant, toughened polypropylene, the RoadRefresher is easily taken apart for cleaning and then clicks back together again. Small: 600 ml, base width 19 cm, total height 8 cm, drinking hole 9 cm. Available in pink, blue and yellow. 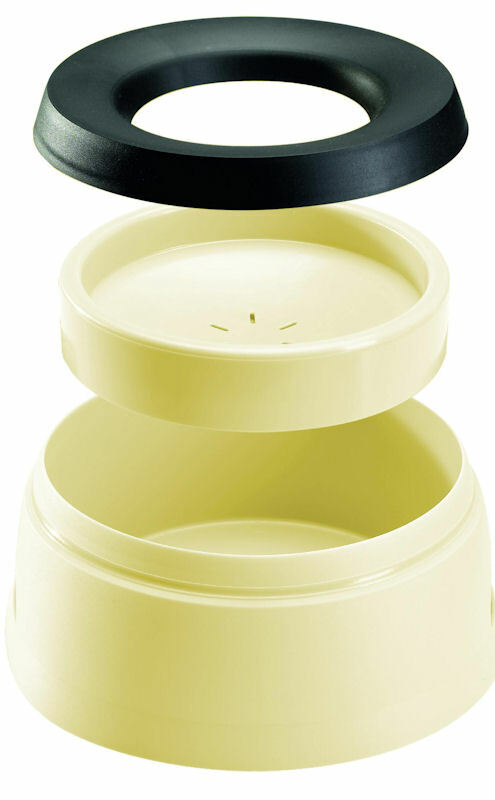 Large: 1400 ml, base width 24,5 cm, total height 10 cm, drinking hole 12 cm. Available in pink, blue, yellow, green and grey.